It’s a bit strange releasing Dear Esther on consoles now, because there are other – and arguably much better – titles in the genre available. Still, it’s nice to replay the game that sparked the uprising of the player-titled “walking simulator” genre. With a game this short – at around an hour and thirty minutes – I can’t really explain too much of the story as anything is a spoiler. As quoted in the commentary that comes with this newer version: “using randomised blocks of voice-over in the game, and the kind of randomised prop details… means that it gives it a really different feeling every time you go through”. As good as that sounds however, it means one player could potentially get more out of the game than others. And with Dear Esther being a walking simulator, I can’t exactly talk too much about gameplay either; if you’re not familiar with the term, it’s simply a case of walking around and exploring the areas. Obviously you can’t just bring a game to consoles these days, it has to be some kind of remaster, so Dear Esther comes to consoles as Dear Esther Landmark Edition. With this edition comes a few lighting tweaks and some commentary. The commentary is only really for huge fans of the game, but it is fairly interesting to listen to, and it did highlight some aspects I hadn’t paid much attention to. 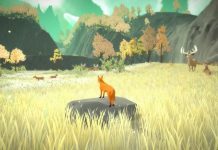 I’m a fan of the walking simulator genre – what started out as a tag on Steam is now a legitimate genre in its own right, penned by the players themselves. 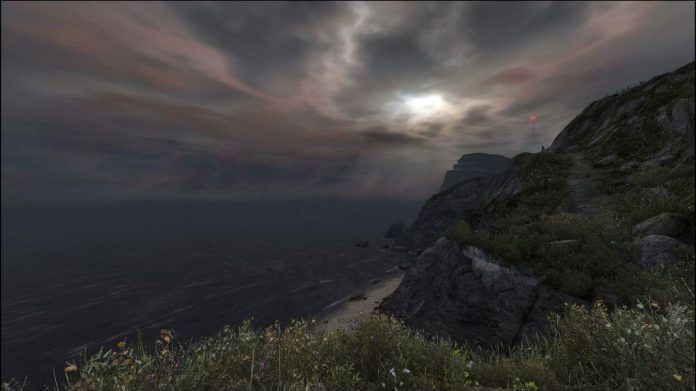 Dear Esther was pretty much the first game to be labelled a walking simulator, and it stands as a testament to how far the genre has come, with many other games since expanding on what Dear Esther tried to accomplish. 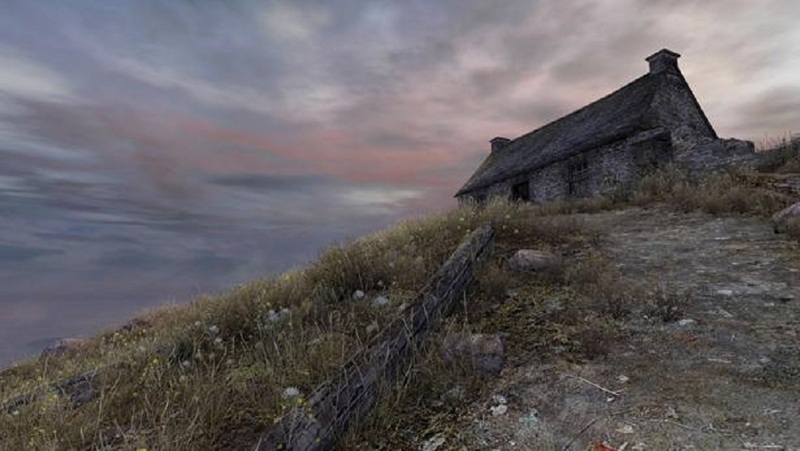 When Dear Esther originally released, there was uproar over the lack of gameplay. Video after video of “what makes a game” covered YouTube, and it felt like a lot of upset for a game that just wanted to guide you peacefully through a story. 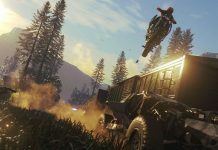 If you approach these games with the idea that you’re not there for intense gameplay but rather just to have an “experience”, to be told a story, then this genre has a lot more to offer. It’s weird going back to Dear Esther and remembering how little of it actually made any sense, but also that the first time I played it on PC I was extremely interested by it. The primary narrative element of Dear Esther is a series of letters being read to you by an unknown character as you explore a desolate island. A lot of the dialogue, right up until the last 10 minutes or so, makes little to no sense; not helped by the fact it reads like poems, giving an air of pretentiousness. Like a cryptic film, you’ll probably find yourself finishing a playthrough and heading to Google to search “Dear Esther meaning”. As Dear Esther plays out however, some people may begin to piece together what’s going on. For everyone else, there’s a small sequence nearer the end that should make it pretty obvious. If Dear Esther had a lot less ambiguity in the dialogue and put more of the story hidden within the world, it would be much better for it. When it comes to exploration, it feels as if there is very little; what is there to explore feels rather redundant. If you wander in a direction that the game isn’t guiding you to, you’ll most probably find nothing. There are some hints of story told through the environment, but if you’re not really paying too much attention, you’ll likely miss it. 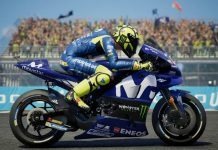 The fact nothing can be interacted with – something that was later added to walking simulators – means that you don’t know how much of the environment is important or just there for extra detail. Graphically, the game is beautiful – just as it was when I played it four years ago on PC. I did unfortunately experience an off-putting issue with the PlayStation 4 version however; there was a very noticeable line close to the player where textures would become more detailed as you move forward. It’s worth noting that this annoying pop-in isn’t present on the Xbox One version, so could be down to the PS4’s well-documented anisotropic filtering issues. It’s a shame as it detracted from the otherwise incredible beauty of the game. Playing back through Dear Esther reminded me of how great Jessica Curry’s soundtrack is. Though sometimes a little overbearing, it certainly does its job of adding gravitas to the experience and is a soundtrack that stands well on its own merit. 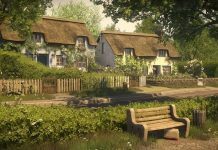 The main issue that Dear Esther faces is that since its initial launch back in 2012, better walking simulators have been released with far more engaging stories – like Gone Home or Ether One. 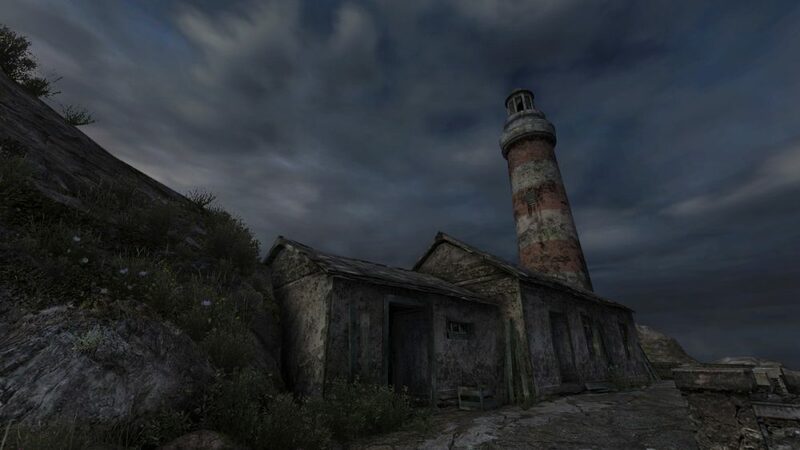 Now, Dear Esther is a good experience in its own merit; it’s nice to play the game that started the genre. Unfortunately, it was more impressive the first time round, when I’d never played anything like it before. I feel that if Dear Esther Landmark Edition was my first experience with the game, it’d be largely underwhelming sitting aside the wealth of similar walking simulators that have released more recently. The most important aspect of any walking simulator is that it has to be engaging. Good gameplay can carry awful stories sometimes, but walking simulators don’t have that luxury. 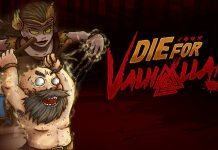 With uninteresting story and characters, the desire to keep playing would be non-existent. The starkness of Dear Esther tows the line, but thankfully it manages to keep you engaged through intrigue, confusion and ambiguity. As every player should supposedly get something different out of it, who knows; to you, Dear Esther could be the greatest walking simulator you’ve played. Unfortunately for me, it doesn’t quite live up to its legacy, but I have to thank The Chinese Room because without Dear Esther, many amazing games simply wouldn’t exist. Dear Esther Landmark Edition is available on PS4 and Xbox One. 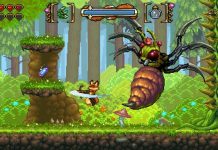 We reviewed the PS4 version.